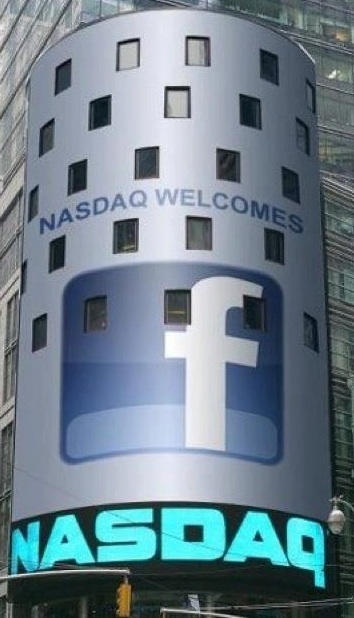 Facebook’s opening trade on NASDAQ has been delayed. We don’t know why, but we’re hearing mixed reports involving both unexpectedly high demand from retail investors and problems with canceling orders. As we explained in a post about 20 minutes ago, the underwriters of the deal are meeting and trying to set an opening price. But because of unexpected changes in demand, it seems market makers are having issues settling on an opening price. They have the option of delaying the offering in five-minute increments until they can find a final price. This is not terribly uncommon and it’s happened in very recent, popular IPOs like Splunk, according to Bruce Aust, who is NASDAQ’s executive vice president and head of the global corporate client group. Early word is that we’re looking at a $42 price, or a pop of just over 10.5 percent. That would give Facebook a $115 billion valuation.